Mold removal must be done strategically and while using effective mold removal products. If not, it will return over and over again. During mold cleaning, it’s also possible to liberate mold spores into the air that will start new areas of growth around your home. 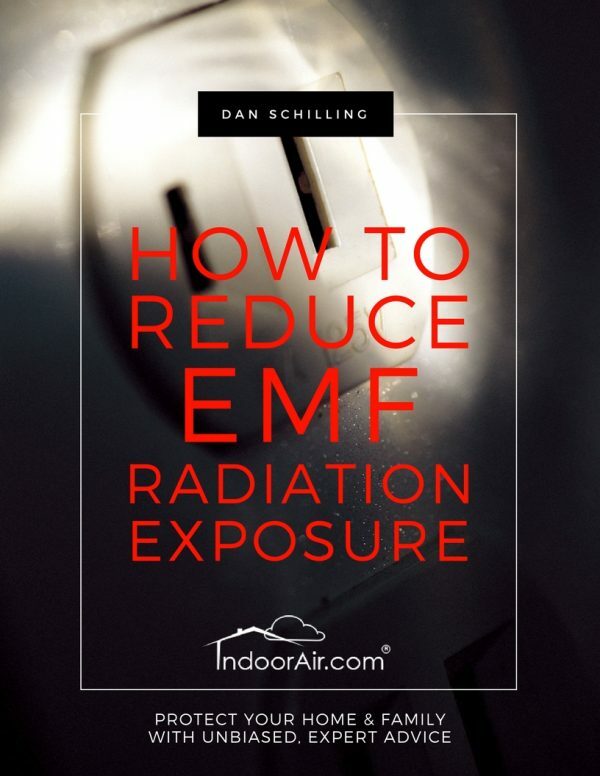 This DIY instruction book explains how to perform safe mold remediation depending on the amount of mold you’re dealing with, where it is growing, and what kind of material it is growing on. It also explains the various mold removal products you can make yourself. 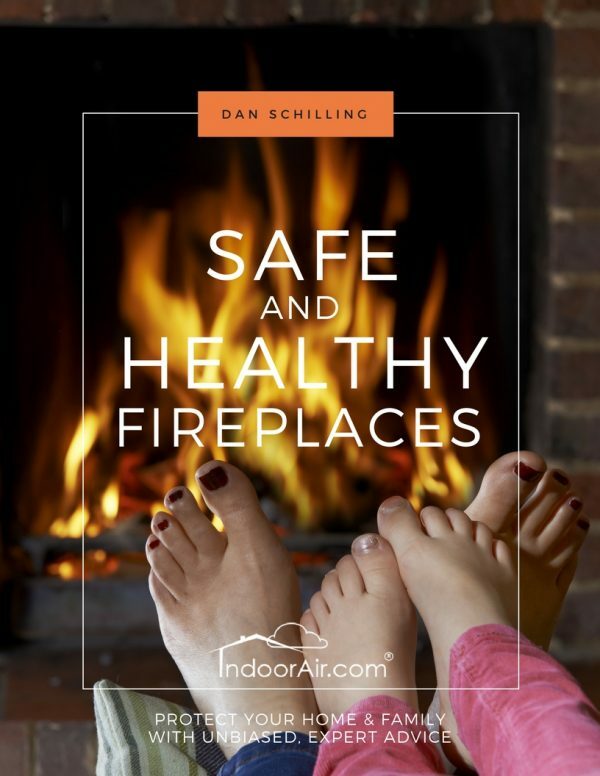 The book contains photographs from field investigations to help you understand safe strategies before you begin so you won’t risk your health due to mold exposure or spread mold further. Relax. There’s no need to burn your house down or throw out all your belongings. In most situations, mold removal is not that complicated. It is crucial, however, that minor mold cleaning or major mold remediation is performed correctly to prevent accidental mold exposure that could result in a wide variety of mold symptoms. Don’t waste your money on a mold test kit or hiring someone to do mold testing. It doesn’t matter if you have toxic mold, black mold, white mold, or any other color mold, you want it out of your home. Professional mold remediation cost can also be avoided with safe and effective DIY mold removal methods. 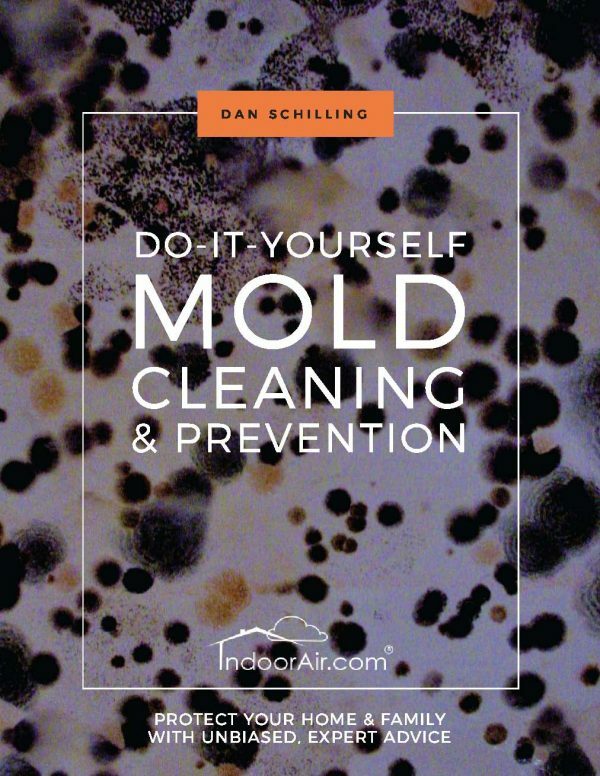 This DIY mold removal book teaches you how to do mold cleaning safely to protect your home and avoid mold exposure. You’ll also learn how to make effective mold cleaner solutions, where to use mold resistant paint, and what steps to take after mold cleaning to ensure it doesn’t return. There are rare instances where mold removal should be performed by a professional mold remediation company. This book will help you understand if that’s the case. 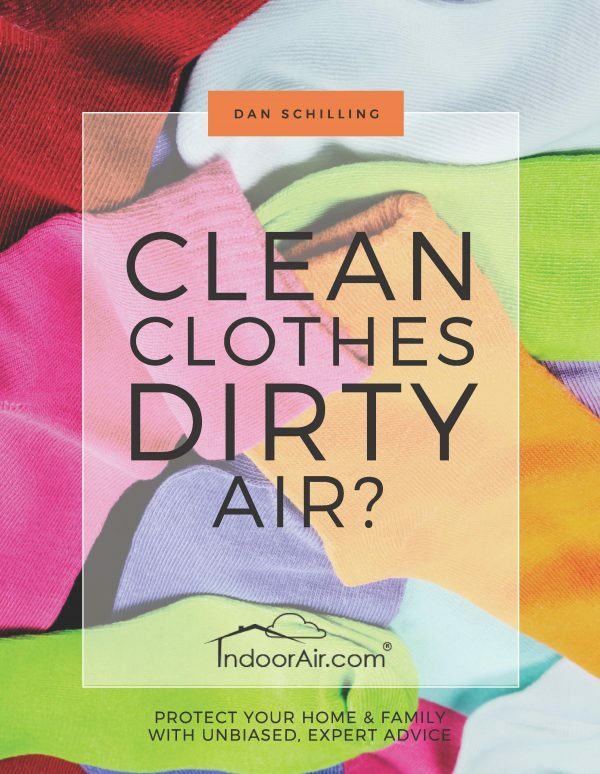 And if you do hire a company, this book will also teach you the tricks mold removal companies use to scam people, and how to ensure employees of a mold cleaning firm are performing their work correctly. Typically, whenever mold is discovered in one location, you’ll find black mold, white mold, and other colors of mold growing in a number of other areas that you’re unaware of. Only removing some mold serves no purpose. This is why it is so important to conduct a thorough mold inspection of all the vulnerable areas in your home before you begin mold removal. 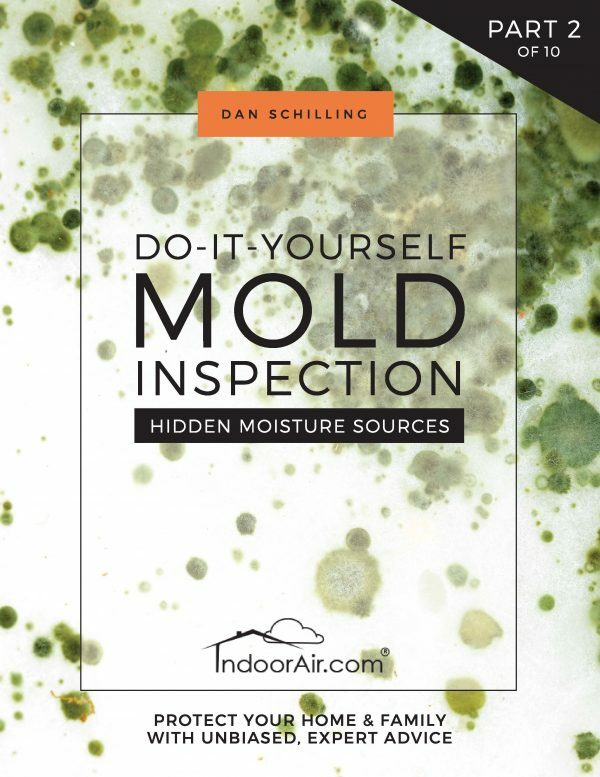 If you see visible mold and mildew, detect a musty smell, or have any mold symptoms that could be related to your home, read the Do-It-Yourself Mold Inspection series from IndoorAir.com. In this series you’ll learn how to perform your own mold inspection without the cost of hiring a mold remediation company, spending money on mold testing, or risking a common mold scam. I’ll walk you through every room in your home, including the attic, garage, and basement/crawlspace. Using inspection photos with explanations, I’ll show you why and where to inspect for mold, and how to see hidden mold when it’s the same or similar colors as the surfaces it grows on. This book will be especially helpful for people who want to avoid suffering from allergy symptoms, asthma symptoms, headaches, migraines, ADD, ADHD, sinus infection, ear infection, memory loss, Alzheimer’s disease, insomnia, and cancer. Once you learn the methods of proper mold inspection, you’ll likely be surprised to see how much mold is actively affecting your indoor air quality and putting you at risk of mold symptoms.